As the year 1928 begins, 14-year-old Lanie Belle Freeman of Fairhope, Arkansas, has bright hopes for the future. Her father has launched a new business, and her mother is expecting her fifth baby. Lanie has dreams of going to college and being a writer. Then tragedy strikes. Twenty-four-year-old Cheney Duvall believes she will be taken seriously once she finishes medical school. Months later, however, she still is without a position; no one wants to consult a woman doctor. 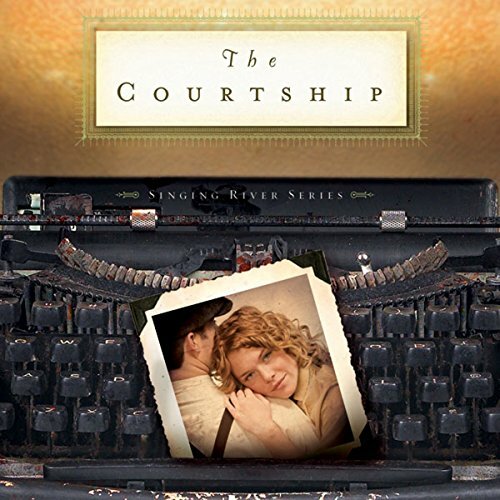 When she hears of a shipload of hopeful brides-to-be bound for Seattle, however, her luck changes. The ship's authorities are eager to have a woman physician on board. But once Cheney meets the 100 women - and her disturbing male nurse assistant - she fears she has gotten in way over her head. 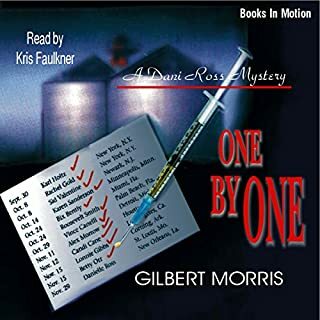 While taking over her father's detective agency during his illness, Danielle Ross finds herself surrounded by 11 other people, all clueless as to why they are together, in this strange and sinister place. 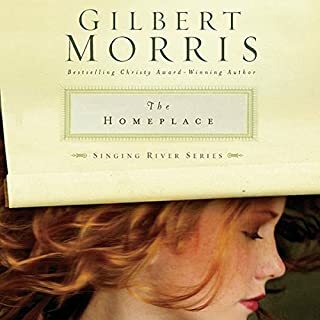 Best-selling inspirational author Gilbert Morris creates absorbing historical novels filled with authentic details and true-to-life situations. With this unforgettable story of redemption and honor, he demonstrates that good can be found anywhere—even in the aftermath of Civil War destruction. Quentin Laribee has a bright future as a surgeon in New York City. Not only is he considered one of the best, he plans to marry beautiful Irene Chambers. But he is sent to southern battlegrounds where he accidently kills an enemy soldier in the act of surrendering. Young Noah has found life good and wholesome, until he steps outside his village and discovers a world of temptation. Drawn by a beautiful woman yet repulsed by the pagan practices of her tribe's dark worship, his inner struggle keeps him in torment. Noah strains to hear the voice of God: through the warnings of a prophet, through the kind teachings of his grandfather Methuselah, through the loving concern of his family, and ultimately, through personal confrontation. The message he receives is terrifying. Will he find the courage to obey? 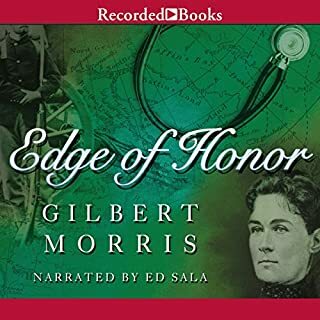 Always enjoy Gilbert Morris-Great historical fict. Fleeing a bloody pogrom that threatens their tiny Russian village, Reisa Dimitri and her grandfather, Jacob, sail the ocean to a new life in America. They are swiftly embraced by New York’s Jewish community. But God has other plans that will call them far from the familiar warmth and ways of their culture. Accompanied by their huge, gentle friend, Dov, Reisa and Jacob set out to make their living as traveling merchants in the post-Civil-War South. Daniel Bradford, a poor young Brit, is separated in a cruel twist of fate from his sister, Lyna, and left to rot in the infamous Dartmoor Prison. His only hope for escape comes when he agrees to a seven-year indenture in America. But he discovers he had traded one imprisonment for another under a cruel and exacting master, Sir Leo Rochester. Computer program designer, Oliver Benson, decides to completely change his appearance in order take revenge on the two people in his life who used to mean the most to him - his wife and his manager - because they destroyed his life. Will Oliver learn what real love is before it's too late? Or will his wife and manager discover his identity and end his life for good? He is a young Welshman who forsook the family shipbuilding business to study medicine... until, poised at the brink of a brilliant career, tragedy broke his heart and shattered his dreams. She is a daughter of London's inner city, a woman-child weaned on life's harsh realities who has learned much about fending for her living and her virtue but little of what it means to be loved. 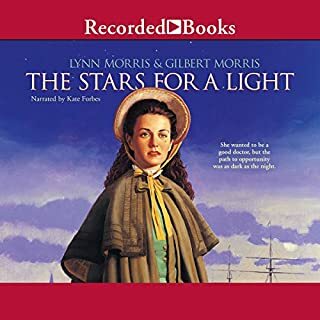 Thrown together by circumstance, Rees Kenyon and Callie Summers head across the ocean toward a new life during the stormy beginnings of the American Revolution. Lanie Freeman and her siblings have survived the Great Depression without their father. They are convinced that he has been unjustly imprisoned. Lanie’s strong-willed sister, Maeva, runs away to Los Angeles to find the one woman in a city of thousands who can prove their father’s innocence. Nothing Lanie says can deter Maeva from her mission. Even as her family seems to be unraveling, Lanie’s dream of writing becomes a reality. Lanie is on the verge of becoming a published author. Amid the excitement, she still feels a deep longing for something more, a yearning for love, a home, and a family of her own. When two suitors propose, it does nothing to quiet her heart. 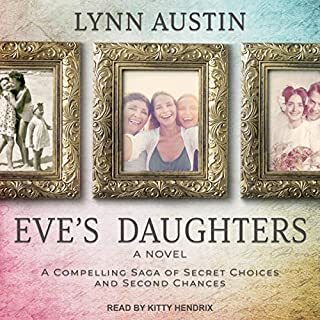 Lanie resigns herself to leave Maeva’s safety and her father’s future in God’s hands. But can she trust God to show her the right man and the right plan for her life? Take another trip down the Singing River. Couldn't Stand for Story to end. This has to be one of the very best series I have ever listened to. I wish Gilbert Morris would just keep on following each Freeman family member forever. I wanted to cry when it ended. The story was great but listening to it on cd was wonderful. I have listened to hundreds of Audio Books but I have to say that Judith West was the best narrator I have ever heard. She made the book come alive and she had a different voice for each character. I listen to audio books only while traveling back and forth in my car and I hated to turn it off every day when I pulled into the garage. So so good. 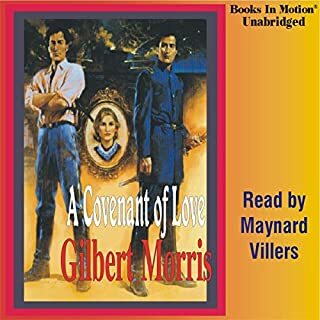 I'm having trouble recognizing this as a interesting piece of literature in any way after two tortured hours of listening. It really goes to show how the religious insanity never changes yet can be made to seem even more foolish than it even is, all delivered in Hee-Haw style.